Over this past weekend, Rhia o’Reilly’s Pro Wrestling Eve championship went through its final days. 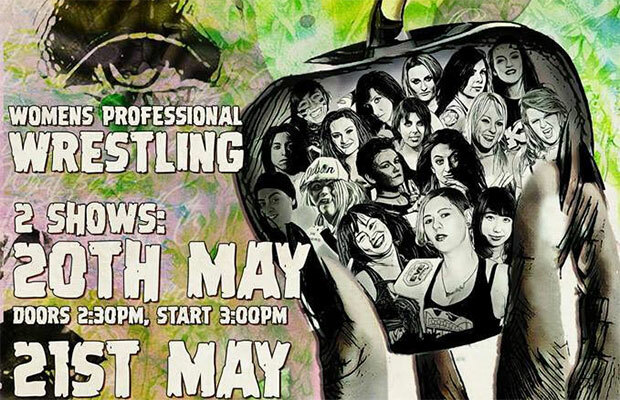 16 women have been competing in the tournament at the ‘Babes with the Power’ in Bethnal Green, London, and it was quite the night. After the first night, 7 women managed to get through to the semi finals, including Session Moth Martina, Viper, Jinny, Riho, Laura Di Matteo, Kay Lee Ray and Sammii Jayne. Sammii Jayne defeated Riho & Viper in a Triple Threat contest. Kay Lee Ray defeated Jinny, Laura Di Matteo and Session Moth Martina in a Fatal Four Way contest. Sammii Jayne defeated Kay Lee Ray in a No Disqualification contest, which featured run-ins from tonight’s cast of talent. This, to the dismay of the now former Pro Wrestling Eve champion, Rhia O’Reilly, made Sammii Jayne the new title holder. This would end O’Reilly’s reign at 425 days. Jayne injured Rhia at XWA 46 on March 12th, causing the then champion to suffer an injured leg an ankle. Kris Wolf defeated Charlie Morgan in a Singles contest. The Owens Twins defeated Nina Samuels and Shanna in a Tag Team contest. Emi Sakura defeated Alex Windsor in a Singles contest. The next Pro Wrestling Eve event will take place on July 15th at the Resistance Gallery in Bethnal Green, London! How do you feel about these results? Who do you want to dethrone Sammii? Let us know your views in the comments below!